Is my singing good enough? 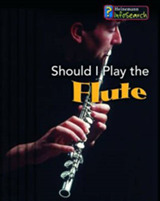 What should I do with instruments? 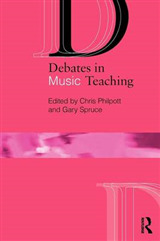 How can I create a rich and exciting musical environment which will allow for both child and adult led musical activity? Singing, dancing and music-making comes naturally to young children, but we as adults often lack confidence in our musical ability. 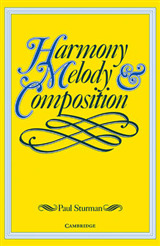 This easily accessible book will help you to realise that everyone can be a creative music-maker with young children. It aims to inspire you to take young children's enthusiasm for music and create a musically rich environment that supports all areas of learning and development and at the same time celebrate music for music's sake. 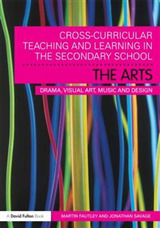 Packed with activities, songs and musical games, this book includes: Recognising musical development in young children and the benefits of music-making in the early years Advice on inclusive practice Guidance on using musical instruments Ways to develop your own musicality Help with planning and assessment Chapters linking musical activities to each area of learning and development How to create a balance between adult-led and child-initiated activities Music for Early Learning also includes a CD containing 23 songs and listening activities linked to each area of development which can be used as a standalone resource or alongside the music manuscript and Guitar and Ukulele tabs provided, as well as lyrics to each of the songs. 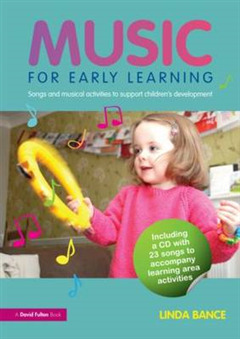 This practical text will help you to realise the wonderful opportunities that music can offer young children and is an ideal resource for Early Years Practitioners, Early Years consultants and trainnee teachers, as well as those on Nursery Nursing and Childcare courses at Further and Higher education levels.